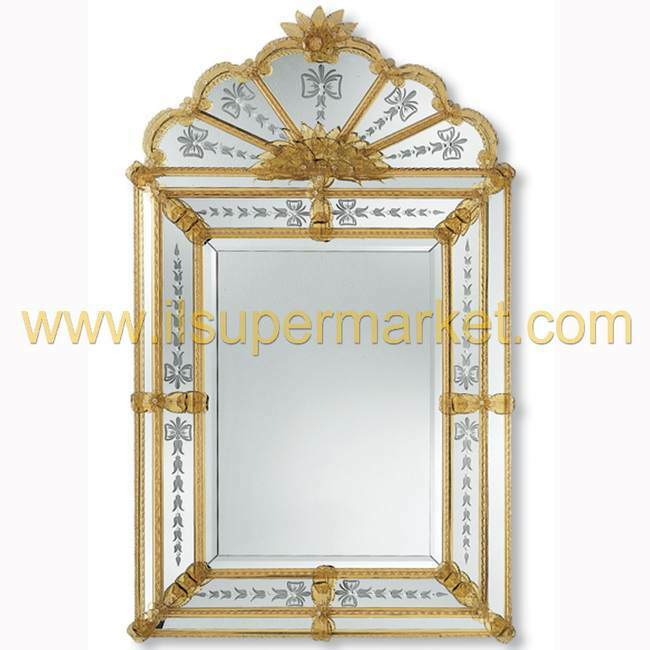 Dimensions in inches: H 53.15 x 35.43"
Dimensions in inches: H 59.05 x 39.37"
Dimensions in inches: H 51.18 x 46.45"
Dimensions in inches: H 39.37 x 31.49"
Dimensions in inches: H 51.18 x 43.30"
Dimensions in inches: H 43.30 x 31.49"
Dimensions in inches: H 45.27 x 41.33"
Murano Mirror Sestriere,gold glass with flowers, antique finish frames. 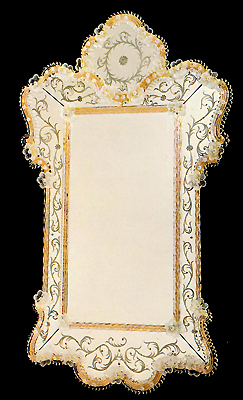 Dimensions in inches: H 41.33 x 62.99"
Dimensions in inches: H 55.12 x 37.40"
Rectangular Mirror in Murano glass Redentore Murano Amber glass. 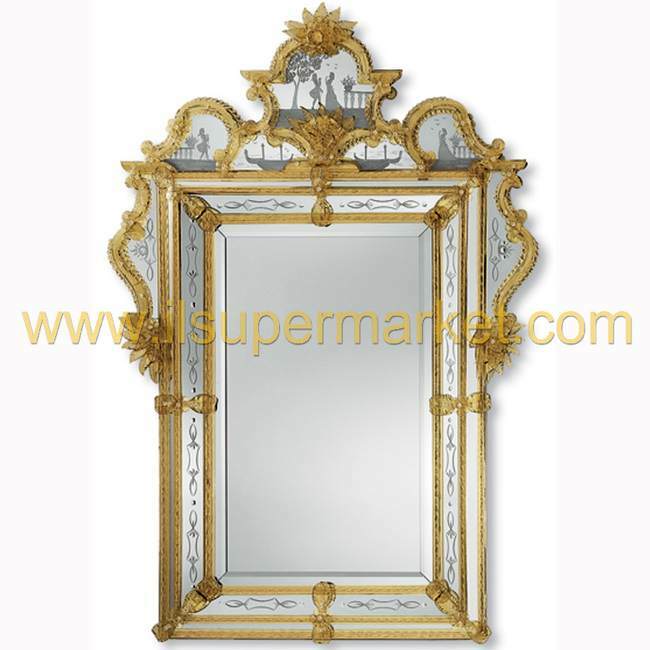 Dimensions in inches: H 53.15 x 31.49"
Dimensions in inches: H 70.87 x 39.37"
Dimensions in inches: H 45.27 x 25.59"
Dimensions in inches: H 43.30 x 27.56"
Dimensions in inches: H 84.64 x 27.56"
Dimensions in inches: H 43.30 x 25.59"
Dimensions in inches: H 43.30 x 35.43"
Dimensions in inches: H 42.12 x 34.25"
Dimensions in inches: H 53.15 x 32.67"
Dimensions in inches: H 53.15 x 30.31"
Dimensions in inches: H 74.80 x 31.49"
Dimensions in inches: H 27.56 x 27.56"
Dimensions in inches: H 49.21 x 31.49"
Dimensions in inches: H 55.12 x 35.43"
Mirror with lamps, worked in refined crystal of Murano. 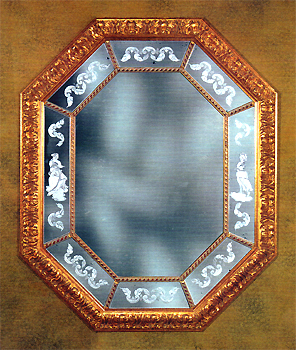 Dimensions: cm. 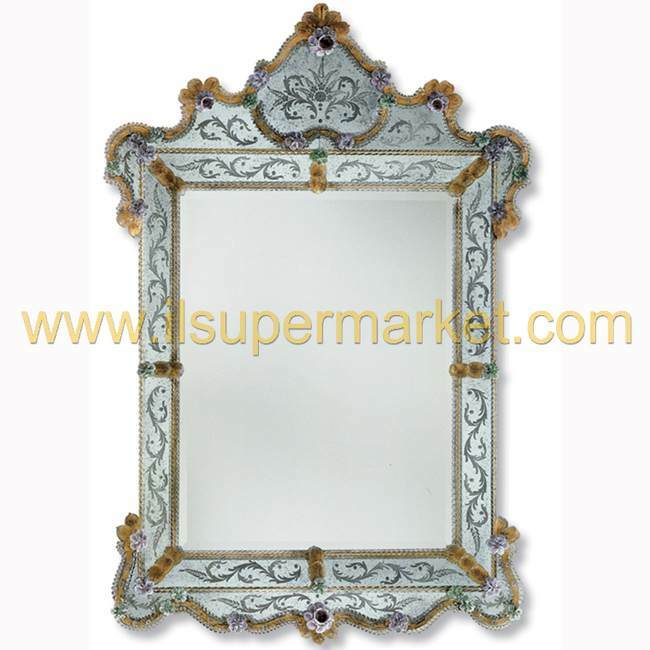 51 x 88 h.
Mirror in blue Murano glass. 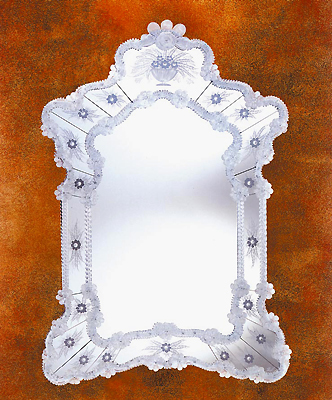 Dimensions: cm. 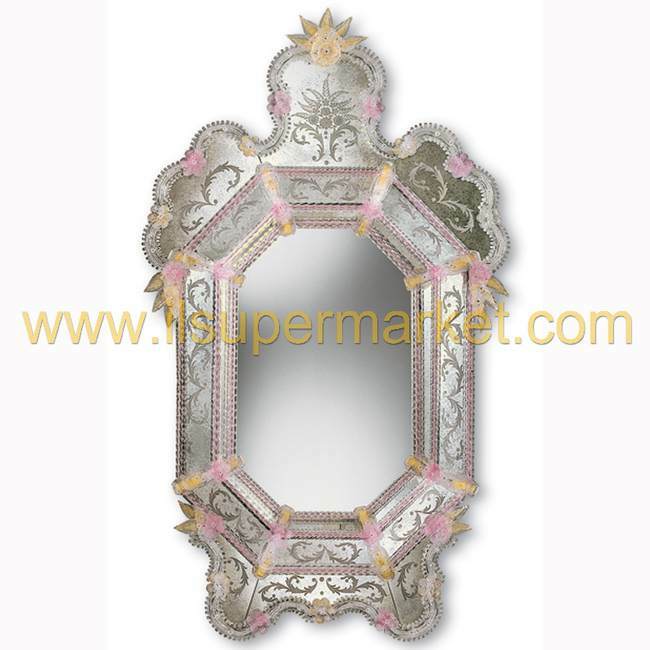 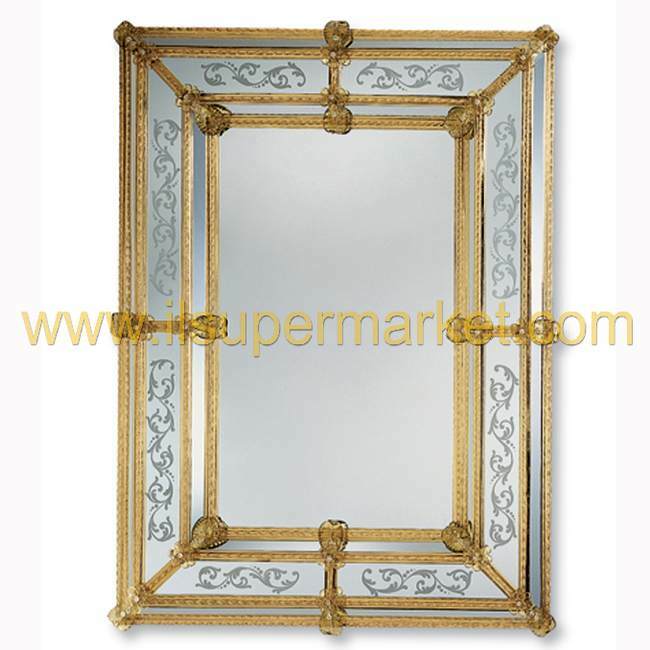 80 x 105 h.
Octagonal Mirror in Murano glass incised, with gold finishes. 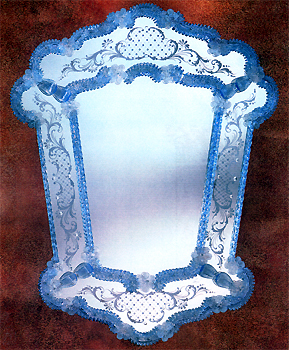 Dimensions: cm. 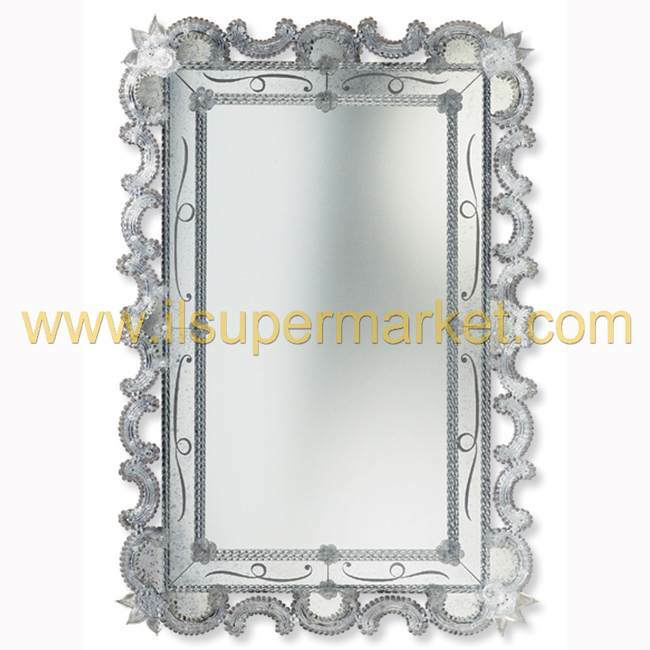 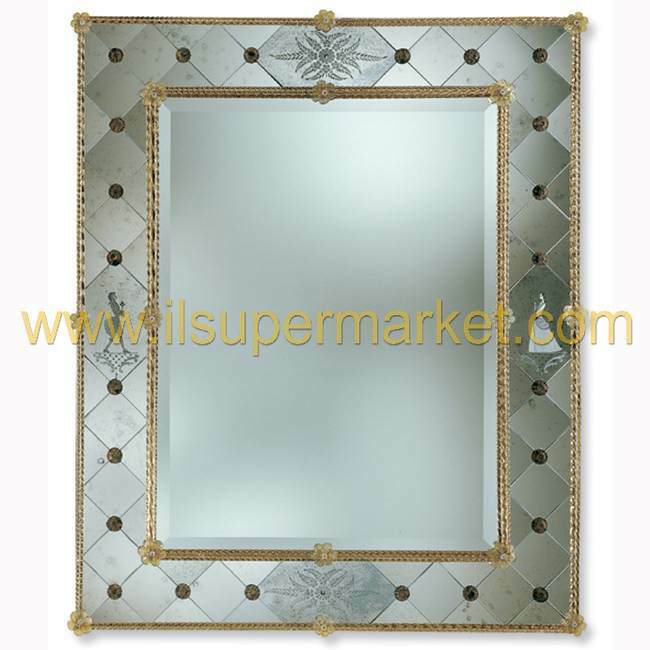 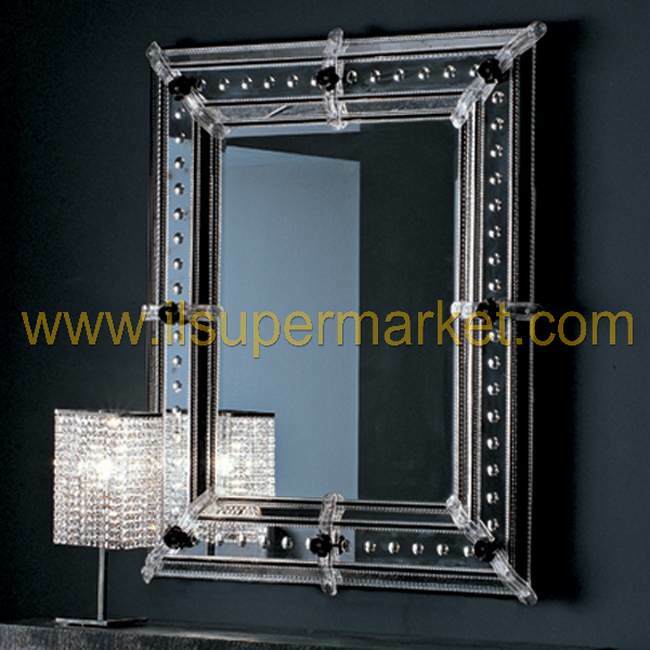 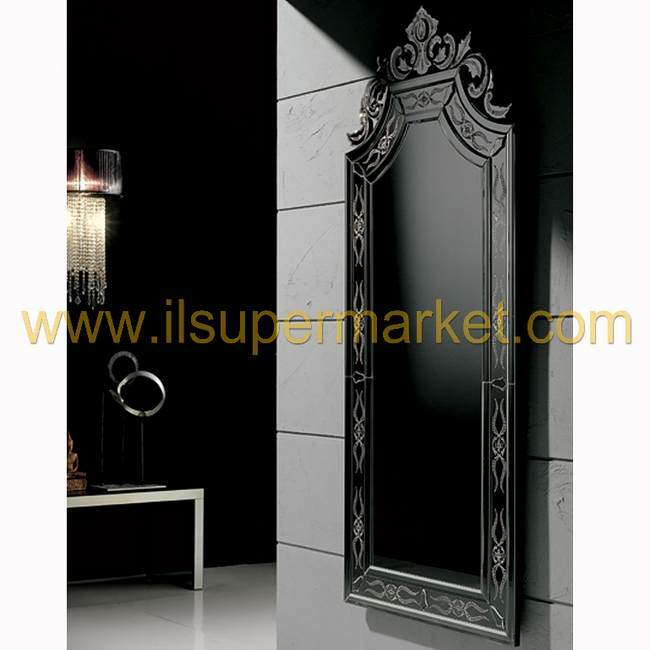 70 x 90 h.
Rectangular Mirror in Murano glass incised, with gold finishes. 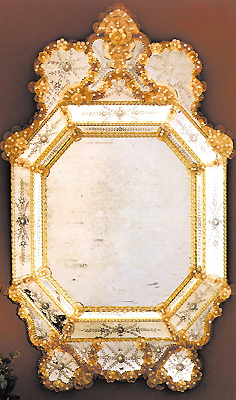 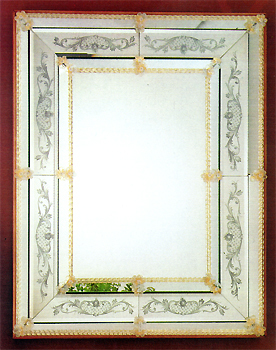 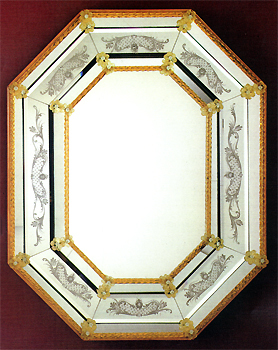 Octagonal Mirror in Murano glass incised, with wood frame, gold finishes. 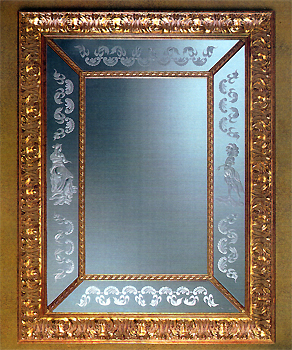 Dimensions: cm. 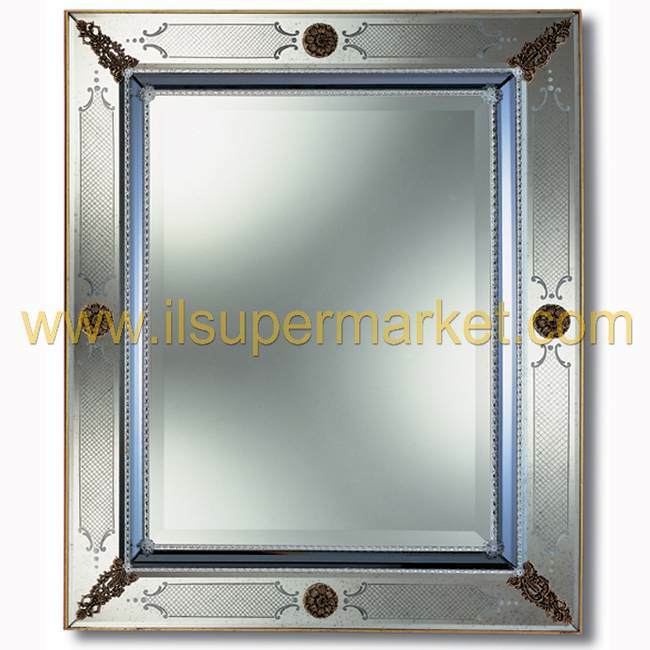 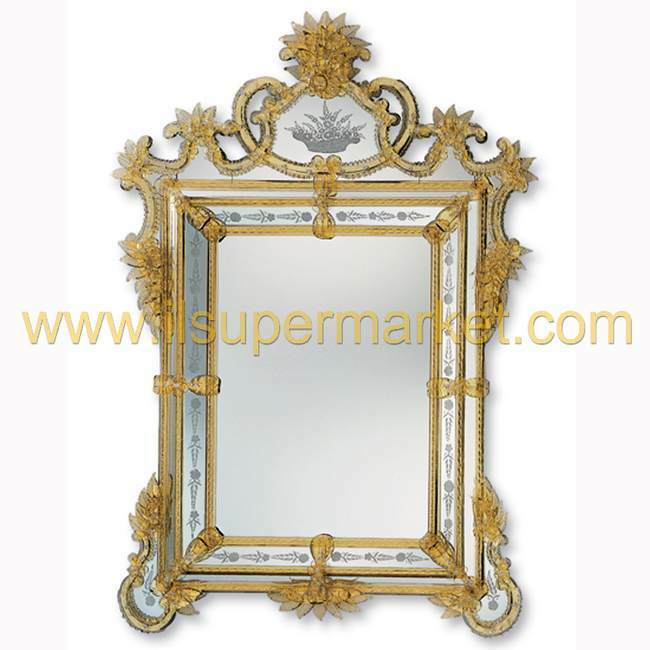 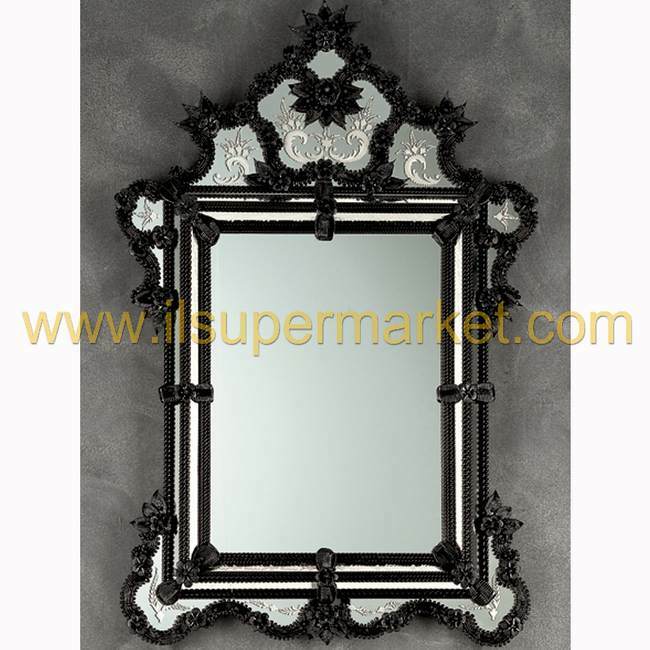 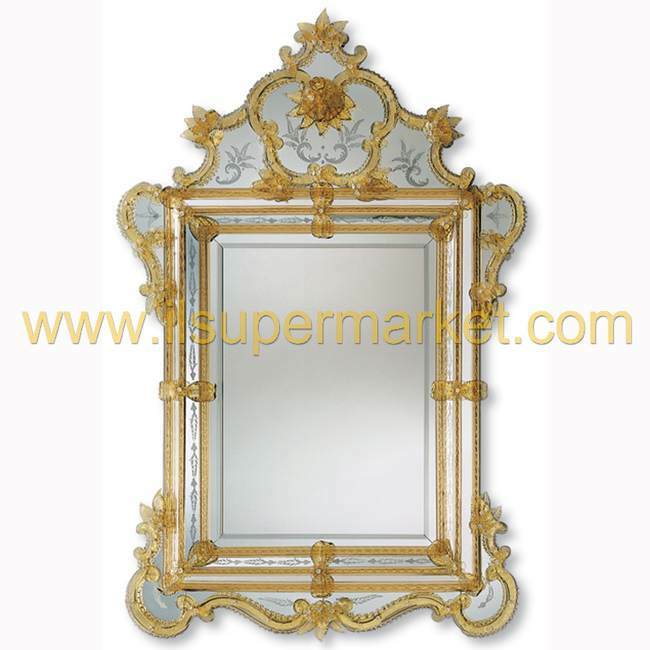 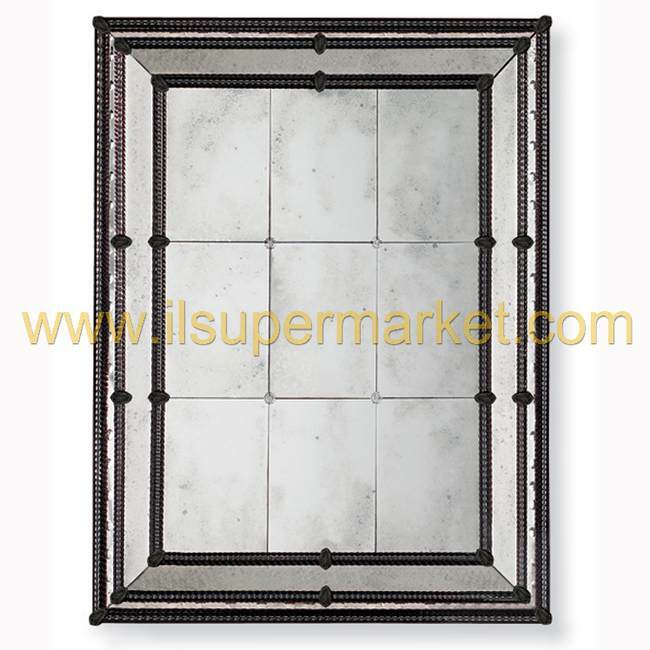 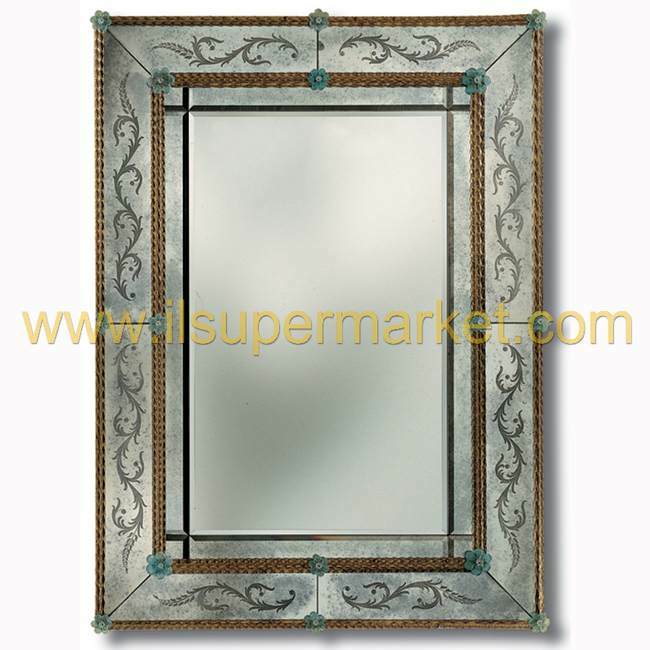 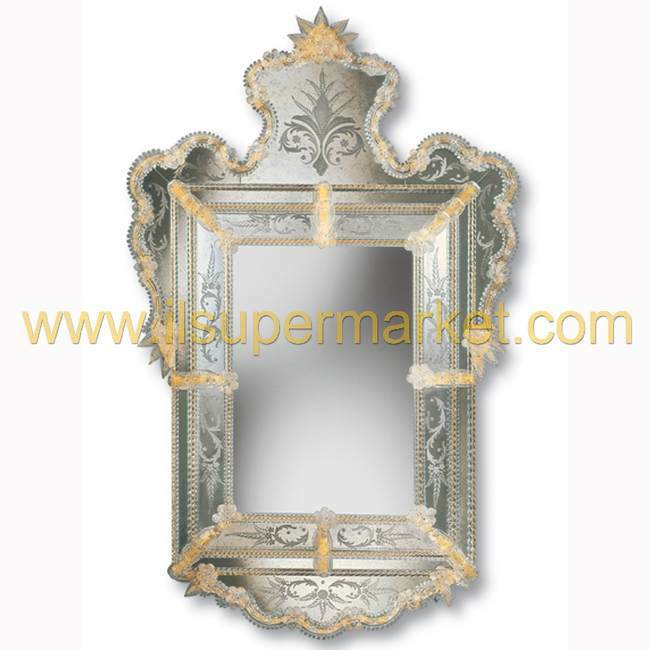 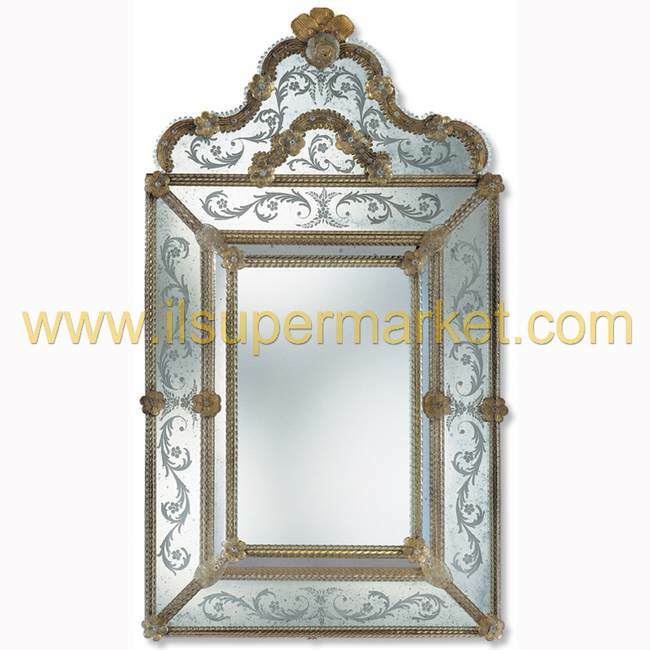 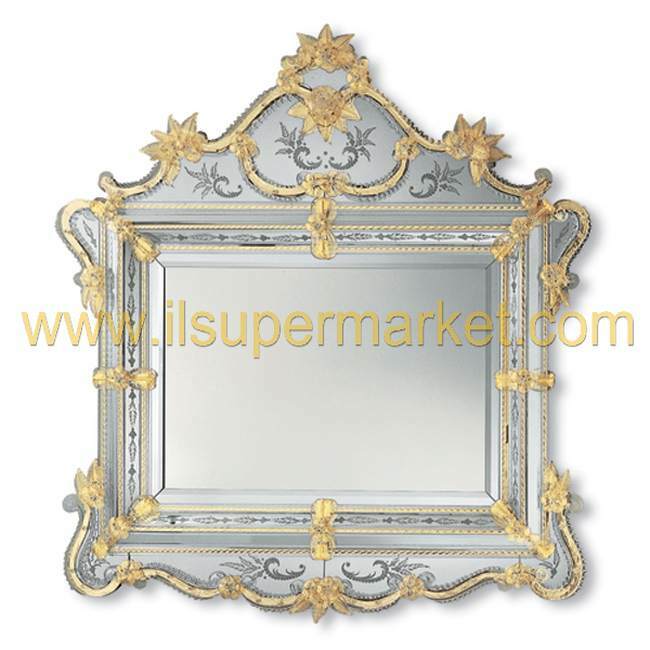 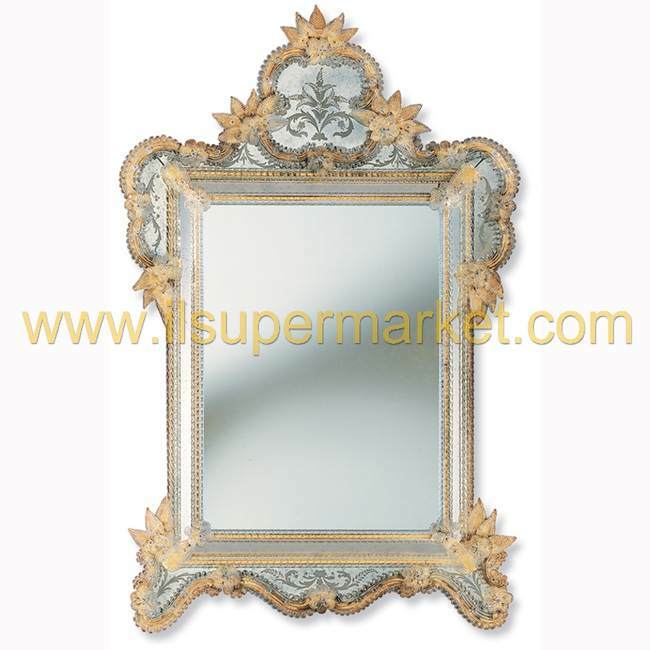 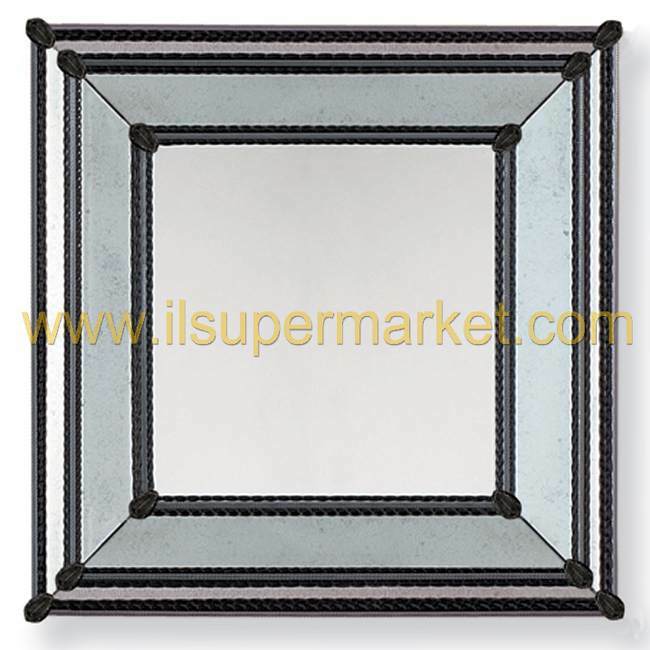 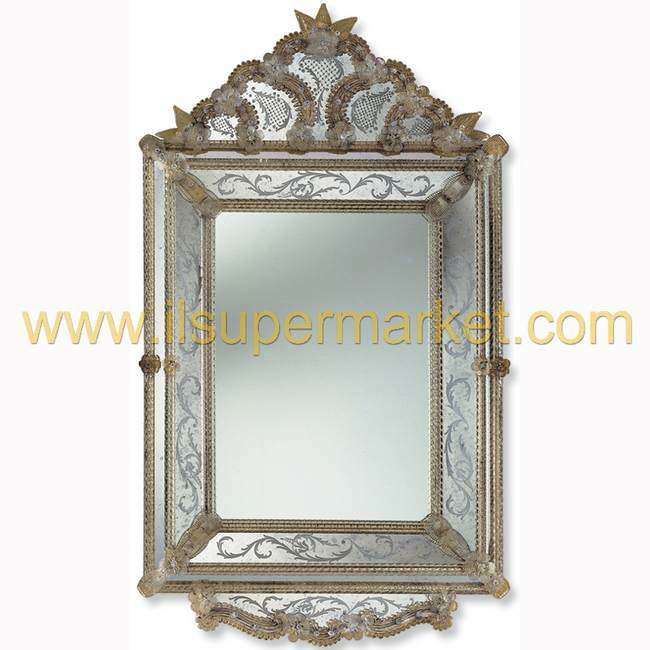 90 x 110 h.
Rectangular Mirror in Murano glass incised, with wood frame, gold finishes. 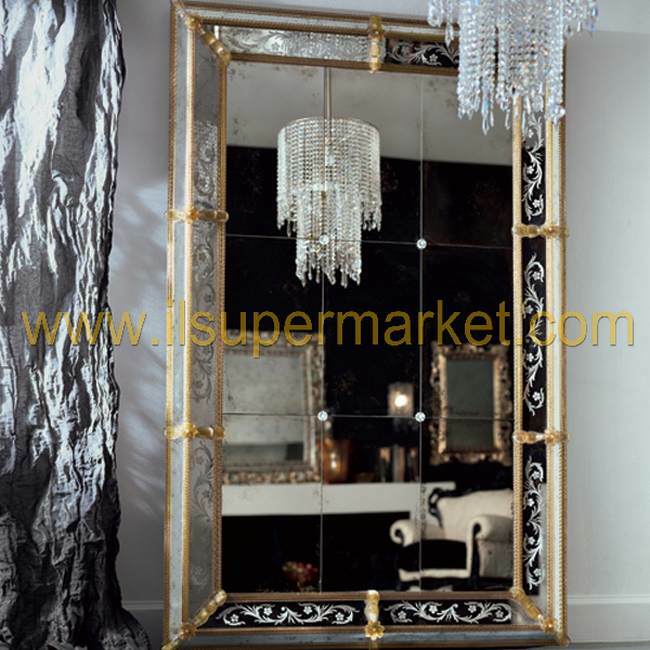 Octagonal Mirror gold finishes, Murano glass. 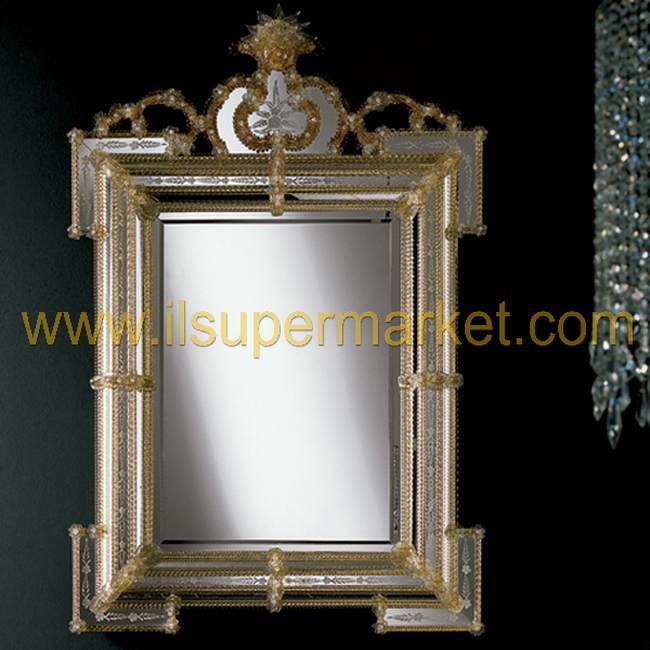 Octagonal mirror with wood frame Murano glass facing, gold finishes. 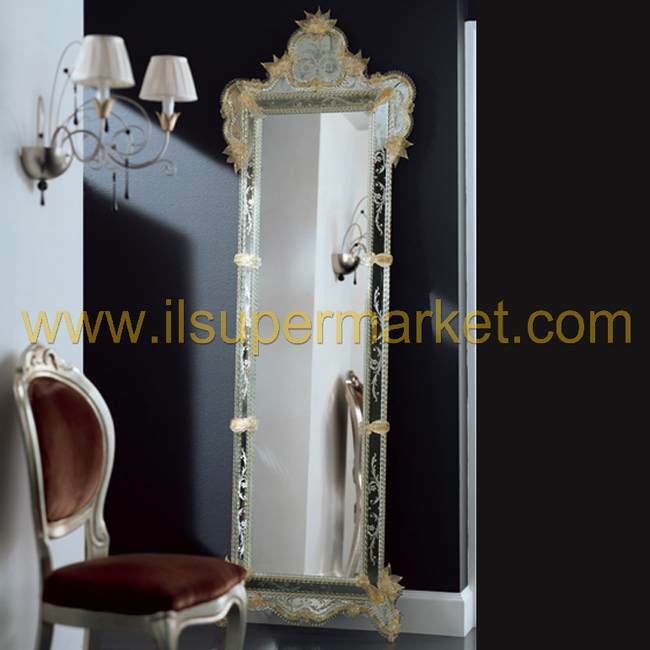 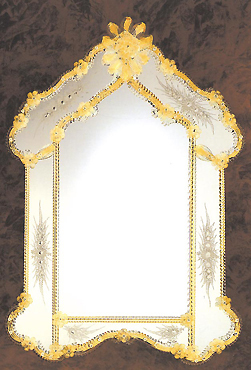 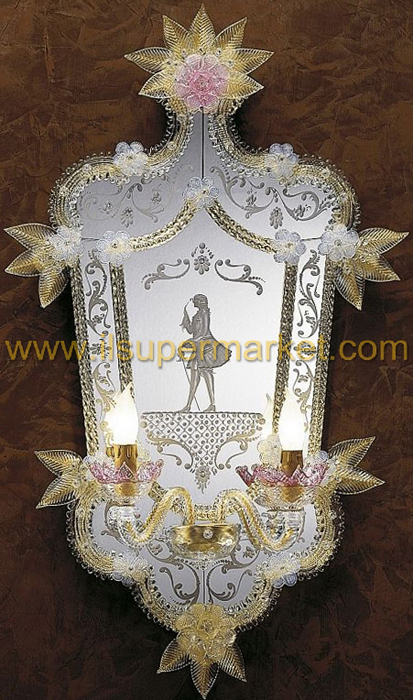 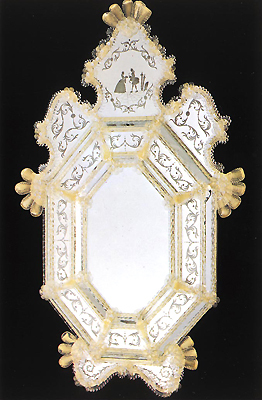 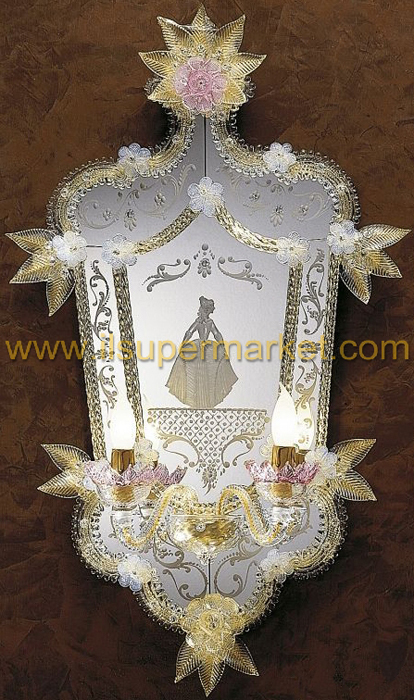 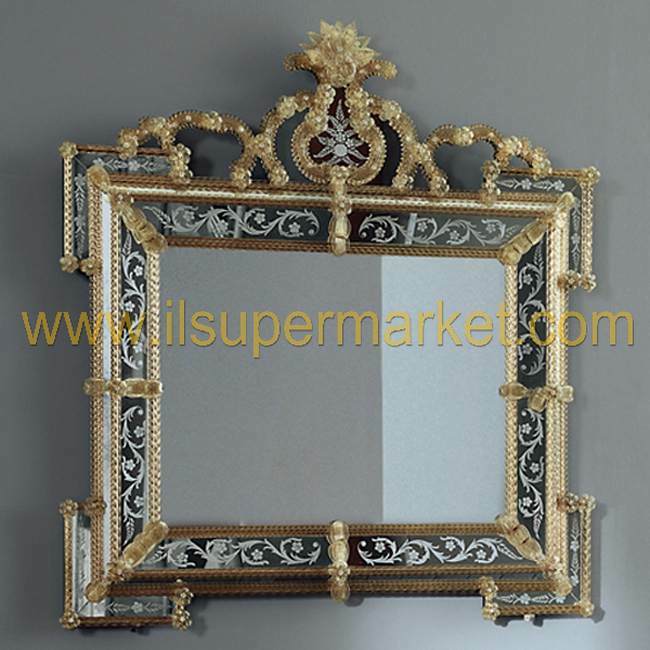 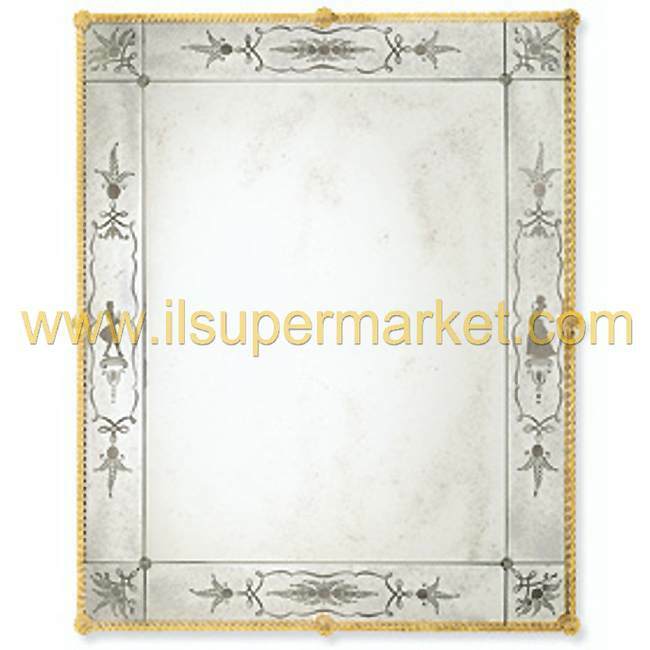 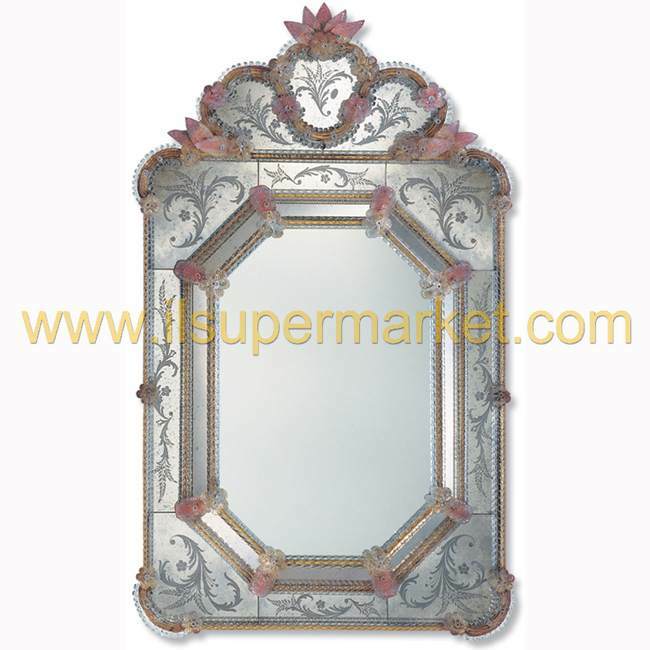 Classical mirror in Murano glass, gold finishes.